ZEISS Cirrus 400 HD-OCT - Vision Equipment Inc. 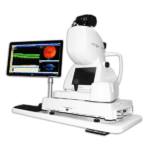 The ZEISS Cirrus HD-OCT 400 has advanced hardware and software that facilitate automated alignment and high patient through-put. An elegant user interface and fast electronics mean chair time is shortened. 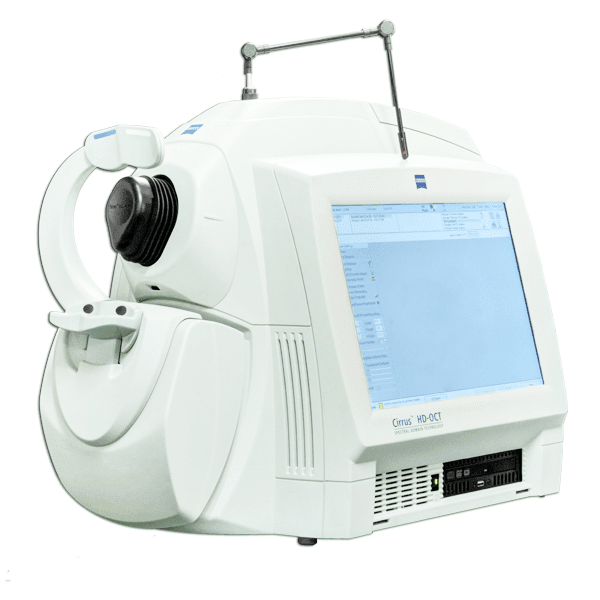 The Cirrus HD-OCT realizes the superior capabilities of ZEISS optics and provides exquisite high definition images and analyses for enhanced clinical confidence. It provides beautiful high definition OCT scans. The ZEISS Certified Cirrus HD-OCT 400 is focused on the essential core OCT functionality, Model 400 is designed with the smaller budget in mind. 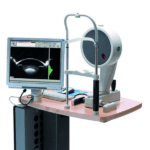 Live OCT Fundus technology provides the fundus image using the OCT scanner only, rather than an additional line scanning ophthalmoscope (LSO). 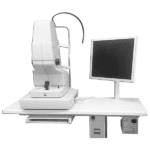 Both the Model 400 and Model 4000 offer the same package of glaucoma and retina analyses and are capable of anterior segment imaging. CIRRUS™ SD-OCT model 400 shares the same modern integrated design,ease of use, and small footprint as the premium performance model 4000. CIRRUS 400 captures a tightly packed, detail-rich cube of data in just seconds and allows you to both visualize and analyze your patient’s condition. Because the cube is populated with such high-density data, you can explore pathologies without requiring additional scan patterns.